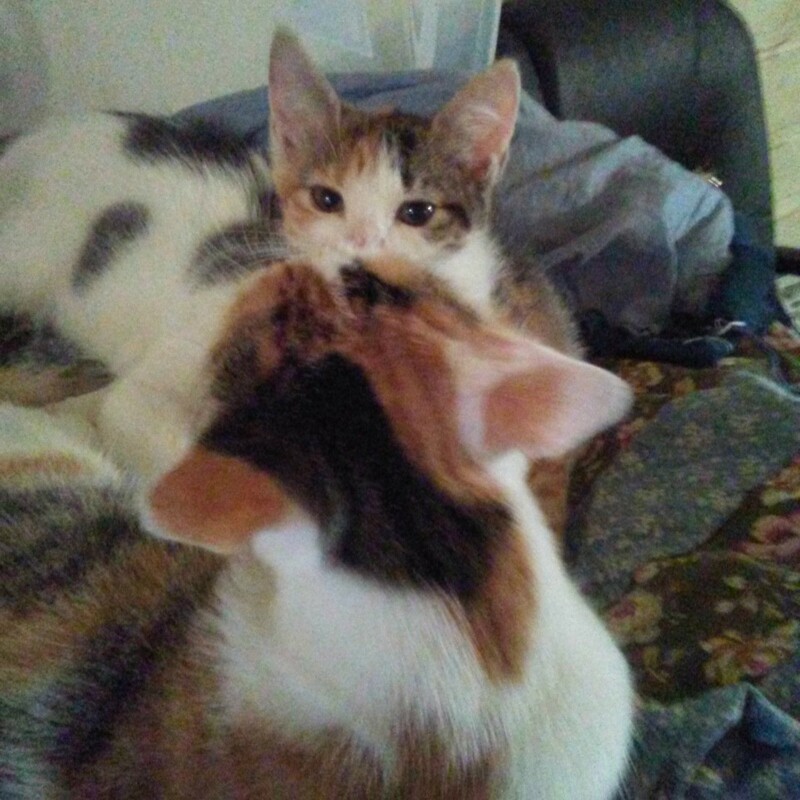 Daisy is giving her baby a little kiss. 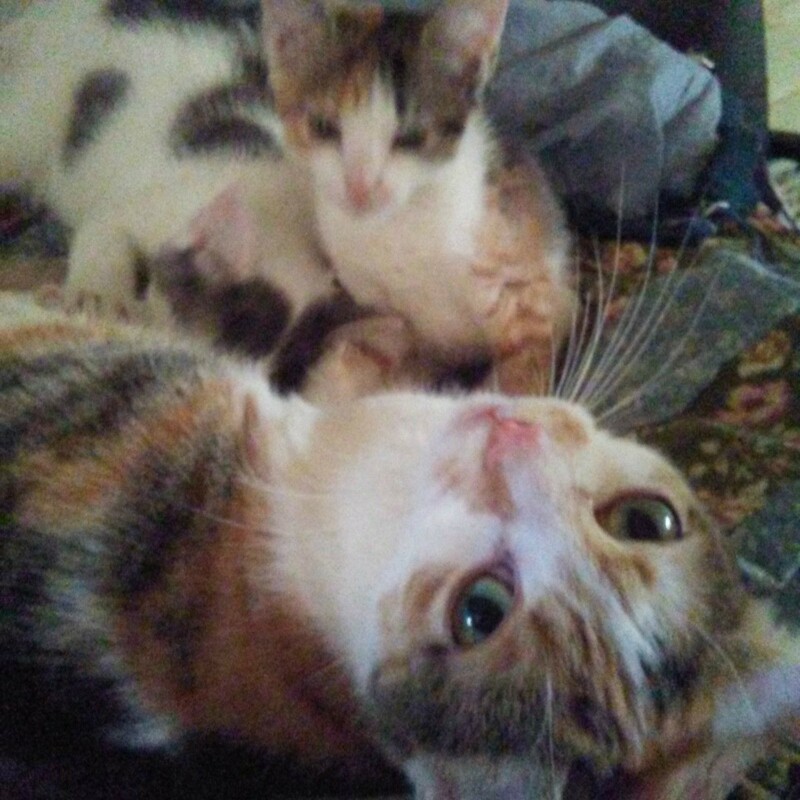 She is such a good mommy to little Lela, and takes good care of all her kittens. I'm not rehoming this kitten until the spring. What a couple of cuties! Too sweet!